Millennial 20/20 is the first business summit series which looks at the future of next generation commerce. The summits take place all over the world, from Singapore to London, providing a unique platform for businesses to come together to explore the demands of the ever-evolving millennial consumer. For Millennial 20/20 Summit co-founder, Rupa Ganatra, this is just one of many businesses she has started in recent years alongside online retailer Yes-Sir.com, BOE magazine and Christmas in July Festival. While Startups’ has typically referred to millennials as those aged 18-35, Ganatra says she prefers “to think of millennials as a mindset rather than an age group”. She recognises that “there have been changes in society that have affected all ages, not just the younger generations” and technology has brought about a seismic shift in behaviours. The way we communicate and consume is vastly different to that of thirty years ago and this has had an impact on everyone. “The millennial mindset sits much wider than age and it’s not just the younger generation who are fed up of gimmicks and long for some level of authenticity” she comments. There have even been examples of brands who “thought that their main target demographic was millennials and then the data has actually come back saying that their audience is around those aged 45+”. 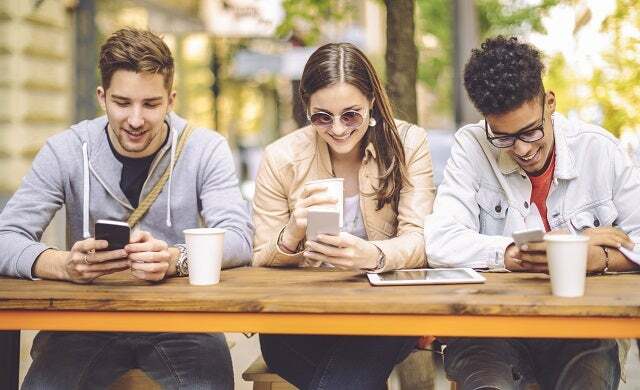 In the case of millennials, it really does seem that age may just be a number and brands should be wary of generalising their audience to such an extent. Who are the millennial start-ups to watch? Ganatra shared with us three companies that she is excited about : “K F Beauty, Dropit and Flixel”. KF Beauty is the company behind the hugely successful Wunderbrow beauty range and their focus on Facebook advertising has meant that they are seen everywhere by a millennial audience. This savvy utilisation of social media has really boosted their brand recognition and increased their popularity with their target demographic. Dropit is a new service which Ganatra suggested “really taps into the needs of the busy millennial”. An impromptu shopping spree after work can often result in one too many bags, especially if you want to go out afterwards. Dropit allows you to drop off your extra bags at one of their stores and will then deliver them to your door ready for when you return home. Which brands have evolved to meet the demands of millennials? Millennials want to be involved in the conversation and Ganatra informed us that “at the Summit, PepsiCo invited anyone from the audience to present and pitch solutions for its current business problems, giving anyone the opportunity to work with a huge global brand”. This is the sort of open-minded collaborative thinking that millennials really value. What are the future trends to look out for? For Ganatra, voice recognition technology is one of the stand-out trends of the year. She is confident that the technology has great possibilities for the future and mentioned Amazon’s Alexa as a prime example of this. Predictability, big data and virtual reality were also frequently mentioned at the summit and Ganatra agreed that these are some of the front runners to look out for as technology continues to shape the future of commerce. What are your top tips for brands wanting to target a millennial audience? Ganatra suggested that a focus on “marketing, transparency and authenticity” would be most helpful for brands wanting to secure their position with a millennial market. She comments that “now is the time to do a full sense check on everything from data collection to supply chain ethics” as consumers are becoming more and more demanding in terms of knowing exactly where their products are coming from. She was also adamant that “physical stores aren’t dead!” and hailed millennials as the “experience generation”. If you can make your store a place worth going to then millennials will come for the experience (and the Instagram story). Enjoyed this article? Now read: 5 ways your business can win over the hearts (and wallets) of millennials.